While analogue Two Way Radios are here to stay and are useful for many users, latest DMR Digital technology provides many features and benefits specifically required by customers. The introduction of open standard Technology like DMR Digital has made the move to improved wireless Two Way Radios more affordable across Australia for operations who require reliable communications. From Hotels to schools, warehouse to construction, security to transportation, the need to keep your teams in contact with a reliable durable 2 Way Radio communications system has never been more important. Digital DMR Two-Way Radios combine the compatibility of analogue set-up with the unparalleled sophistication of digital communication, integrating voice and data technology to ensure safe, rapid response audio interaction. You can view the best digital two way radios that meets your operational needs. When considering digital two way radio range, Consider Heed HC830 and HC880 DMR Digital Two Ways Radios to solve coverage interference issues you may be experiencing . Analogue and Digital can work together as you migrate over time. Current licenced users may need to continue to use existing analogue system and frequencies, DMR Radios allow for compatibility of DMR Spectrum channels with legacy analogue systems. The latest Digital DMR Technology is much more energy-efficient than analogue, meaning that battery drain is reduced and talk time is improved meaning battery will give you longer talk time over extended shifts. You can also read on how to better maintain and manage your battery fleet. 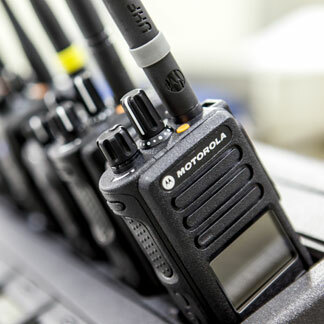 From motorola digital 2 way radio to Heed DMR Digital, find the best digital two way radios. With offices in Crows Nest (Sydney), Coppers Plans (Brisbane), Collingwood (Melbourne) Nedlands (Perth) and (Gold Coast) local support and consultation is available to meet your needs. Contact your nearest Connect Communications office conveniently located across Australia on 1300 784 611 to arrange a free consultation from anyone of our fully trained staff on how to best utilize DMR Digital Two Way Radios.